Anybody else feel like their “cots” aren’t all that different from being “caught” these days? This entry was posted in American English and tagged cot-caught merger, New York Accent. Bookmark the permalink. Here in Chicago, I think dey are all cats. Where I grew up in the midwest, they’re the same. So terribly annoying to have East Coasters tell me I’m pronouncing my own name wrong. To be fair, a lot of what you’re classifying as “East Coast” accents here are one particular stretch of the East Coast: The urban corridor from New York down to Baltimore or thereabouts. It’s a different story if you go up to New England, where “Aaron” is more commonly “air-un” outside of the major cities and “Ann” is often a bit like “Ian,” similar to the Great Lakes. “Don” and “dawn” are also famously merged Boston and much of northern New England. I’ve only heard of the Don/Dawn merger as a (part of the) east coast thing, not a Midwest thing. And they are certain different in my experience, having lived all my life in the Midwest (not upper). As long as you’re consistent in your hatred. If you hate it when people from the Great Lakes region say “Ann” then you also have to hate in when people from Eastern New England (“East Coasters” by anyone’s definition) say “Ann”, because they do the same thing. I don’t think the merger in the eastern US is really limited to northeast New England. I’m from southeastern WV, and most people I know the merger. Of course, the merger might be new to this area: a lot of people moved here from New England in the 1970’s. I’ve noticed southwestern WV usually makes the distinction: “cot” is kɒt whilst “caught” is like kɒʊt. I wonder whether it depends on how old you are? I grew up in Tucson, AZ from age 4-17, which is supposedly a cot-caught merging state, but I don’t have the merger. I was in New Haven CT before that, and I’m 42, which means I was in Tucson from 1974 – 1987 and in CT from 1970 – 1974. Did Tucson not have the merger then? Did I somehow pick it up from CT? I dunno. Odd to say you are fronting “caught” and rounding “cot” — that’s the opposite of what it should be. BTW I’m a linguist but for whatever reason I never notice whether people merge or don’t merge the cot-caught vowels. Possibly this is because the two vowels for me are pretty close: caught has /ɒ/ (very much like British “not” but not nearly so short) and cot has a vowel that’s probably halfway between back /ɑ/ and central /ä/. One weirdness: For me, the vowel of “calm” is the same as “caught” (/l/ not pronounced). Did I back-form this from people saying /kɒlm/? Here’s another weirdness: my speech merges “Mary” and “marry” but “merry” is ever so slightly different (the merry vowel is low-mid, the Mary/marry is a bit higher, maybe mid, and they get even closer in fast speech). Where did this come from? I doubt this is normal in Tucson and the sounds are so close in my speech that often my own judgments can get a bit messed up, but in general they seem to agree closely with what non-mergers do (the merry vowel occurs only in open syllables and only when written “e” — but also in the word “bury”). I’m from Cleveland, and I know that I am not cot-caught merged, /kät/ (750, 1250) and /kɔt/ (650, 850). Also, I know that I pronounce Ann as a diphthong, but Ian is two syllables. This cot-caught merger you’re talking about is so weird because it seems to have sprung up out of nowhere and swept the continent. I have dictionaries from the 1950’s that include detailed prefaces, with precise explanations of very subtle dialectal differences in every English phoneme, yet not one of these dictionaries mentions this merger. Apparently, just a few decades the merger was still so rare (or stigmatized, perhaps) as to be unmentionable. Also, I’ve read that mainly younger people have the merger. Older people in most areas make the distinction. Yet, what’s strange is that even though the merger is so new, it can’t be traced down to any particular dialect. It has strongholds in widely separated parts of North America. That is, the merger has no obvious geographical origin. This is how I interpret this article and the available evidence. I could be wrong, of course. Lots of the comments mention the spread of the merger coming from Silicon Valley, however the Bay Area is the only part of the west that differentiates. The origin of the merger is from Scottish English in Canada (in Scotland it is all /kot/) It spread from canada to the west and north central. In western PA the origin is from the way the German Immigrants spoke English. I’m not sure what the origin is in NE, but they differentiate the vowels of father and bother. It is spreading to various parts of the midland from both the west and western pa. I live in the Bay Area, and most people here have the merger. Perhaps the best evidence is my four-year-old daughter, who has lived all her life here and has it in spades. 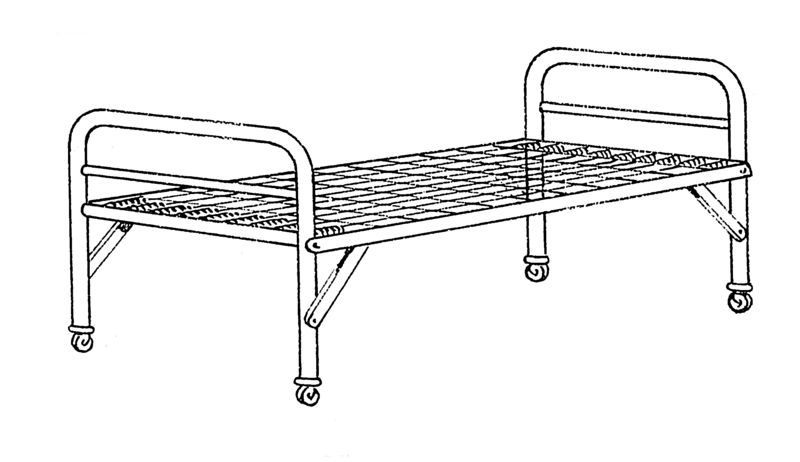 I’m a native Southern Californian, but being 63 I have somewhat of a cot-caught distinction. Most of my younger neighbors don’t. But The Lord-lard distinction is very marked for Californians – to merge them sounds Texan. To me “lord” and stressed “or” are “loard” and “oar” very different from any vowel of “caught” or “law” and it confuses me that dictionaries use the same symbol for both. They use the same symbol for the vowels in “or” and “caught,” even though they don’t sound the same to you, because the (unmerged) vowel in “caught” /ɔ/, is there, but possibly rhotacized in /ɔr/; that is, the vowel is being affected by the following sound, which would account for its sounding different (it IS different, but very slightly, and the underlying sound is the same). Or it could just be that it isn’t as different as it seems to be, because it’s much more difficult to distinguish between vowels and the American /r/ than sounds like the /t/ in “caught”. Also, the environment of “before /r/” is the exception, even for the dialects that merge; /ɔ/ does not merge to /ɑ/ before /r/. Maybe the rhoticization saves it? I really don’t know why. But words like “par” (/pɑr/) and “pour” (/pɔr/) will still be different, even for someone who solidly merges “caught” and “cot” (and “pa” and “paw”). Perhaps it really has more to do with the following consonant than is usually thought to be the case. The voiceless stop /t/ had already shortened the vowels, at least slightly, before any merging effect came around. Does this merger happen as strongly before voiced stops which have not been shortened? Maybe there’s a reason this particular word pair has been nominalized for the entire merger; maybe it is the most exemplary case of it. No, the vowel in most Americans’ pronunciation of “port” and “core” is more like the vowel of “coat” than “caught” — it’s basically the same vowel but minus the glide at the end, plus an /r/. That’s what the poster means by the spellings “loard” and “oar” (= lord, or). This doesn’t apply to New York non-rhotic speech, where “lord” and “laud” merge, but does to Black non-rhotic speech, where “floor” sounds like “flow” not “flaw”. But if “oar” has the same vowel as “coat” for you, (for me this sounds like “o’er” as in “over” without the [v] and is not how I would say “or” even when stressed), then it isn’t relevant to the “caught”/”cot” merger anyway, because that’s a totally different vowel. For instance, for “horrible” posh Britians say [ˈhɒɹɪbɫ̩], some New Yorkers, New Jersians, and Carolinans say [ˈhɑɹəbɫ̩] (what is meant by the vowel in “cot” and kind of like how I say “car”), and most Americans and Canadians say [ˈhɔɹəbɫ̩] (what is meant by the vowel in the unmerged “caught” and like how I say “core”). I don’t use [ɒ] unless I’m trying to adopt a British accent, and is simply [ɑ] + rounding. He didn’t say (i.e. write) “oar” had the same vowel as “coat”, he said the vowel in that word was more like the vowel of “coat” than that of “caught”. He would still have a distinction between “oar” and “o’er” presumably. I think I do use phone [ɒ]*, but it’s in words like “hawk”, etc. not in words like “box” as in English accents. * I don’t think this is uncommon in American English as a phone. As a phoneme, distinct from both that of dawn and that of father, it’s almost completely non-existent AFAIK. But that doesn’t mean that Americans aren’t allowed to use the phone [ɒ]. Not that the vast majority of us would be aware of it if we did use it anyway. What’s interesting (and a bit frustrating) to me about almost everything written on the cot-caught merger is that it doesn’t mention that the merger that takes place in the accents of Boston and some other areas of Eastern and Northern New England is the reverse of what it is elsewhere. To me, this is a completely separate merger which should be classified differently. In the typical American cot-caught merger (e.g., someone from the Midwest), the two words are pronounced as kɑt. BUT… in places such as Boston, they are both pronounced as kɔt. Why isn’t this explained and seen as significant? That’s not the same merger at all! Think of it this way. Say there are two subspecies of the same species of bird that once lived side-by-side in the same geographic range: one red and one yellow. Over time, they interbred and one sub-species took on the color of the other. BUT, in one region, the birds all became red, and in other region, they all became yellow. This “merger” wouldn’t be described as being the same in both regions. We would consider that the red subspecies assimilated into the yellow in one region; that the yellow subspecies assimilated into the red in the other. I think you have a point here. The fact that Bostonians merged COT into CAUGHT may explain another distinctive feature of the Boston accent — its resistance to the FATHER/BOTHER merger found everywhere else in North America. The idea is that the Boston LOT vowel no longer existed (having been merged into THOUGHT) at the time the FATHER-BOTHER merger operated everywhere else. Agreed. I have sometimes wondered about the origins of the caught/cot merger in New England — it’s not a feature of English speech, or of the Irish who followed them. The only place nearby that has the merger is Canada. I would be surprised if the merger came from there, since most of the Canadians who settled New England were French speakers. But then again, Canadian raising is also prevalent in much of New England (it’s the norm in the Boston area nowadays), so maybe there’s more Canadian influence on New England speech than we know. It seems to be spreading in some areas of New England — younger people in the Boston area seem to have the merger more strongly and consistently than older ones, I’d say. And it’s become usual in Vermont, too; I think the early linguistic studies showed Vermont to keep the two sounds separate. Even people who are rhotic and otherwise show little trace of a New England accent typically have the merger. I think you’re right that the merger is spreading. I sometimes hear it from people from areas where you wouldn’t expect it, like Upstate New York (the merger is pretty prevalent in the Adirondacks, among younger speakers, and I’ve heard it from some younger people in the suburbs of Albany). As you said, the two vowels aren’t much different for many non-merged Americans — they’re about the same length, the only difference is the rounding. It’s not like in England, where “caught” is very audibly longer and more closed. Some accents with other shifts seem to resist it — in areas where you have the Northern Cities Shift, New York City-style “caught” tensing, or a Southern drawl that can turn “caught” into a diphthong, you don’t have the merger. I’d be willing to bet that the merger is going to become the norm, if it hasn’t already, in most accents that don’t have any of these resistant features. I think I may have a merger of sorts: I am originally from NW Pennsylvania but have lived in Minnesota for the past 35 years. I merge the words “vowel,” “towel,” and “owl” with “val,” “tal,” and “al” so they rhyme with “pal.” When I moved to MN in 3rd grade my teacher sent me to speech classes to “lose my accent” (once they realized it was not a speech impediment) but apparently they didn’t take. I’ve been troubled by that ever since. Would someone please tell me this is common somewhere, (even if it isn’t)?